Merry Christmas! The period of Advent has helped us to get ready to celebrate this day. Today everything is already prepared. The decorated trees and the Christmas wreaths, the lights in our homes, the manger with gifts for our friends and family. Everything shines, everything glows, and everything is ready for the celebration. In our nativities we have placed Joseph, Mary, the manger, an angel, the star of Bethlehem, some shepherds, some sheep, a donkey, an ox, some camels, some animals and many other objects that are part of our daily lives which, through the inspiration of our imagination, have become part of the nativity scene. But tonight, when I went to place the baby Jesus in the manger of the church, I had the impression that the child said something to me: the manger of the church is missing someone very important. Then I looked at the manger and I could not understand what our beautiful manger was missing. 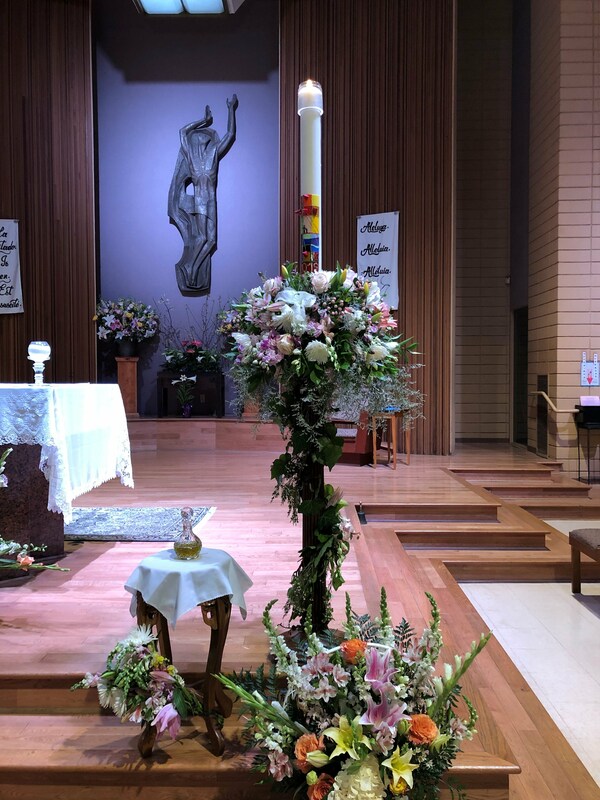 We had been preparing it since mid December and every day I came to pray in front of it. So I asked the Lord, “Tell me what is missing” and he replied: “The black sheep”. Yes, baby Jesus is right. A good nativity should never leave out the “black sheep”. God loves black sheep. He loves the excluded, those who annoy us, the drug addicted, alcoholics, prisoners, thieves, infidels, those who are different, the depressed, those who don’t think like us, those who disturb us, those who can’t love, those who suffer, the sick, the elderly, the undesirable, those who are deemed useless... There are so many "black sheep" around us. The “black sheep” are missing in our nativity. God came among us to love the "black sheep", to show compassion and to help them find the way of peace. Today I will place a “black sheep” in the manger of the church so that all those who feel alone, abandoned or excluded, will know that there is a place for them at the manger. The child Jesus came to welcome those who have been hurt by life. But what if in your neighbor's manger you happen to be the “black sheep”? Wouldn’t you rather be placed near the baby Jesus? Merry Christmas to all! Let the baby Jesus help us to welcome all the black sheep who are around us so that the peace that comes from the manger can live in our hearts, in our families, in our communities, and in our world. Feliz Navidad. El Tiempo de Adviento nos ha ayudado a prepararnos para celebrar esta noche/este día. En esta noche/En esta mañana todo está listo. La decoración de los árboles y de las coronas de navidad, las luces en nuestras casas, el pesebre con los regalos para nuestros amigos y familiares, todo brilla, todo resplandece, todo está listo para la fiesta. En nuestros pesebres hemos colocado a José y a María. También al ángel, a la estrella de Belén, a los pastores, a las ovejas, al burro, al buey, a los camellos, y muchos otros objetos que hacen parte de nuestra vida cotidiana y que nuestra imaginación nos inspiró para integrarlos en el pesebre. Pero esta noche, cuando fui a colocar al niño Jesús en el pesebre de la iglesia, tuve la impresión de que el niño me decía: falta alguien muy importante en el pesebre de la iglesia. Entonces, miré el pesebre y no pude entender que era lo que faltaba en ese pesebre que lucía tan hermoso. Lo preparamos desde el 18 de diciembre y todos los días he rezado frente a él. Entonces, le dije al Señor: “dime lo que falta y Él me contestó: “la oveja negra”. Si, el Niño Jesús tiene razón. En un pesebre no debe faltar nunca “la oveja negra”. Dios ama a las ovejas negras, es decir, a los excluidos. Aquellos que nos molestan, los drogadictos, los alcohólicos, los presos, los ladrones, los infieles. Aquellos que son diferentes, los deprimidos, aquellos que no piensan como nosotros, aquellos que nos perturban, aquellos que no saben amar, aquellos que sufren, los enfermos, los ancianos, aquellos indeseables, los que creemos que no sirven para nada,… Hay muchas “ovejas negras” alrededor de nosotros. En el pesebre falta una “oveja negra”. Dios vino en medio de nosotros para amar también a las “ovejas negras”. Para mostrarles su compasión y para ayudarles a encontrar el camino de la paz. En esta noche/en esta mañana voy a colocar una “oveja negra” en el pesebre de la iglesia para que todos aquellos que se sientan solos, abandonados o excluidos sepan que en el pesebre hay un lugar para ellos. El Niño Jesús vino para acoger a aquellos que han sido heridos por la vida. ¿Y si en el pesebre de tu vecino, eres tú la “oveja negra”? ¿No te gustaría que te colocaran cerca del Niño Jesús? Feliz Navidad y que el Niño Jesús nos ayude a recibir a todas las “ovejas negras” que están alrededor de nosotros. Para que la paz que viene del pesebre reine en nuestros corazones, en nuestras familias, en nuestras comunidades y en nuestro mundo.